« 1st post in 18 months…been busy creating an agency, reintroducing Lincoln and winning 2 Gold Lions and 1 Bronze at Cannes. 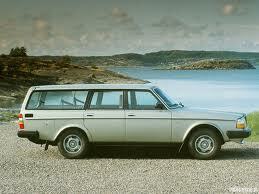 Americans becoming more “European” in our automotive tastes…will wagons make a comeback? Americans’ taste in automobiles is becoming a little more European. The fact that Ford and GM are marketing truly global cars like the Fiesta, Focus and Chevrolet Cruze with only minor modifications to reflect local tastes supports this view. Diesel, while still a tiny portion of the US market, is increasing in share of market, propelled by the efforts of VW, Mercedes-Benz, Audi and BMW. GM has even announced that they will offer a diesel-powered Cruze in the US. Even the hatchback, a configuration traditionally rejected by Americans is becoming more accepted: “Five-door hatchbacks, popular among European families but long regarded as boring by Americans are catching on. They now make up almost half the retail sales of Ford’s small Fiesta and Focus” (Financial Times). Hot hatches like the Focus ST and Golf GTI make this segment even more appealing. All this change is exciting and I hope that it signals a long-term adjustment in Americans’ view of automobiles. Selfishly, I hope it will culminate in a re-appreciation of a body style seemingly lost to the sands of time…the full-size station wagon. 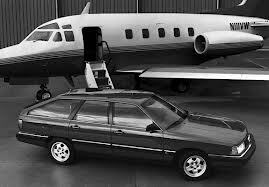 In the 90s SUVs were the cool alternative to the very uncool station wagon and the death knell began to sound. The perception that station wagons were for stay-at-home moms in traditional suburbs added to the clanging and finally the cross-overs of the new millennia killed the full-size wagon body style for good. 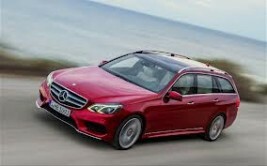 Even the high-line European brands have stopped importing their C-class wagons to the US. 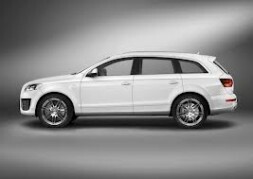 Audi no longer brings in the A6 Avant and BMW leaves the 5 Series Touring (wagon) off its US product plan. Only Mercedes-Benz, with its E-Class, still imports a full size wagon. It’s really a shame, as I said earlier, the Europeans have been making beautiful and useful wagons for years. But even they have recognized that Americans are more interested in cross-overs and don’t bother to bring in their wagons. I recognize that “beauty is in the eye of the beholder,” but I can’t understand why someone would choose to drive a chunky cross-over rather than a sleek, beautiful, sophisticated wagon. Look at the pictures below, wagons on the left, their corresponding cross-over on the right. Here’s the BMW Touring versus the X5, no contest. 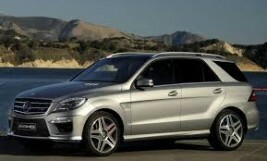 The Mercedes-Benz E-Class wagon, truly makes the M-Class look bovine. One domestic manufacturer has the courage to offer a wagon. I happen to think the Cadillac wagon is great looking, but even if you hate the brand’s design language, you can’t tell me that the wagon isn’t better looking than the SRX! All of these wagons are available with all-wheel drive and offer the driving dynamics and comfort of their sedan counterparts. These four manufacturers also offer high performance variants for those of us whose manhood may be compromised by the idea of driving a wagon. The McNaughtons have always had wagons and taken our family of four on vacations, children off to college, several post college moves, not to mention schlepping all manner of household projects and we have never lacked for utility. In fact, I don’t know what we would have done without our wagons. I know this seems counter intuitive, but these wagons are just so much cooler than cross-overs. 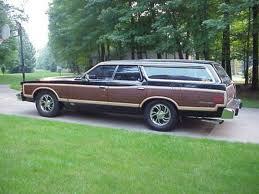 The station wagon deserves a renaissance in the US! This entry was posted on Tuesday, July 23rd, 2013 at 12:58 pm	and is filed under Auto manufacturers, Branding, Retail, Strategy, Technology/Product, Uncategorized. You can follow any responses to this entry through the RSS 2.0 feed. You can leave a response, or trackback from your own site. you’re truly a excellent webmaster. The web site loading velocity іs amazing. Ӏt sｅems that yoᥙ are dօing any distinctive trick. Also, The contents arｅ masterwork. үou’ve done а magnificent activity іn thіs subject! Thanks a lot! It is definitely an fantastic web-site. rays with the sun – the largest take into account age spot formation. be actually something which I feel I would never understand. It seems too complicated and extremely huge for me. actually eager of reading this weblog’s post to be updated on a regular basis. I’m happy that you just shared this useful info with us. while people consider worries that they plainly do not know about. defined out the whole thing without having side-effects , people can take a signal. Remarkable things here. I am very glad to peer your post. Thank you so much and I’m having a look ahead to touch you. and that i can think you are knowledgeable on this subject. Fine together with your permission allow me to grab your RSS feed to keep up to date with drawing close post. Estaba buscando esa informacion hace ciclo, te lo agradezco, estoy de concierto con tu punto de vista y heno igual. Despues de buscar mucho por Internet encontre lo que buscaba. I have been exploring for a bit for any high quality articles or blog posts on this sort of area . Reading this info So i’m happy to exhibit that I have an incredibly good uncanny feeling I came upon just what I needed. forget this web site and give it a look on a relentless basis.